Without Action, developing Leadership, Unity and Knowledge remains untapped. Hence the Action module is rooted in the previous principles – Leadership, Unity and Knowledge. 1. 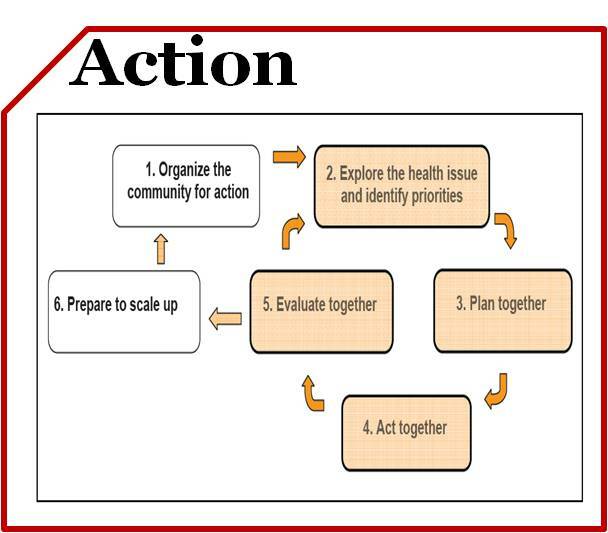 Action Planning Worksheet, is one way to organize your ideas about your initiative and clearly lay out what is needed to achieve the proposed objectives. 2. Tools for Planning and Implementing a Successful HIV and AIDS Treatment Advocacy Campaign, this information toolkit includes practical ways to understand, plan and start advocacy work on HIV related treatment. 3. Austin Round Table Guide: Proposed Plan, Format and Instructions, a template for running an action planning roundtable group, first used at a community forum. 4. Evaluating Community Collaborations, provides tools for tracking responsibilities during action planning and implementation. 5. Organizing a Community Forum, prepares the user to gather the resources and plan a community forum event. 6. Public Participation Toolbox, reviews a large variety of approaches to public participation. 7. Partnership Tools, presents three examples of checklists to track action planning partnerships. 8. Grassroots Advocacy 101. Making your voice heard in Congress and in the White House, this is a basic guide to advocacy channels in the U.S. Congress. 9. How to work with Elected Officials., provides basic tips for community advocates to build relationships with elected officials. 10. Sample Letter to Elected official raising a concern, may be adapted to the issue you would like to share and for which you would like to gain support. 11. How to Testify at a Public Hearing- Sample Testimony., offers a sample of how to effectively present testimony at a public hearing concerning a health issue. 12. Types of Civic Engagement & Action, is a list of types of engagement in the community. 13. Sample Letter to Stakeholder-MS Division of Medicaid, this letter was created by a group of advocates while attending the 2012 Mississippi State AIDS Conference. 14. Social Marketing Plan, guides the reader through the main points of launching a social marketing campaign. 15. Working with the Media: Nonprofit Toolkit, a comprehensive review of techniques to improve your organization’s media relations. 16. Lay-Health Worker Outreach, presents a summary of the lay health worker (or promotora) approach from the Voices of Immigrants in Action. 17. Women’s Health Literacy, reviews health literacy as a capacity central to engaging in health encounters and the importance of developing this skill among immigrant Latinas. We have also compiled case studies to illustrate lessons learned about getting into Action. 1. The North Carolina Harm Reduction Coalition (NCHRC) Organizes North Carolina Advocates to Participate in the National Day of Action on Syringe Exchange. On March 21st NCHRC organized three actions: a mass letter writing campaign, a phone bank and a meeting with Senator Hagan’s office in Raleigh, NC. 2. The North Carolina Harm Reduction Coalition (NCHRC) Law Enforcement Safety Training Program. The relationship between law enforcement and drug users is not always positive, but fortunately, that doesn’t have to be the case.